Travel Channel is an American-owned, British satellite television channel transmitting 24 hours a day across Europe, the Middle East, Africa and Asia-Pacific which offers high quality programming for the business and leisure traveller. It is owned Scripps Networks Interactive, a developer of lifestyle-oriented content for television and digital. Launched in the UK in 1994, Travel Channel was one of the 17 original channels offered by MultiChoice when the DStv satellite service launched in South Africa on 6 October, 1995. The channel's core programming includes programmes like Off Limits, Bizarre Foods America, Destination Weddings, Globe Trekker, Bert the Conqueror and World's Greatest Motorcycle Rides. 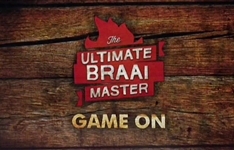 Summary: Teams of two contestants each take part in a culinary adventure as they compete for a variety of prizes and the title of Ultimate Braai Master. BBC Earth uncovers Icons, BET brings back Black Ink Crew and two new novelas starts on StarSat. Tiny House, Big Living returns to Fine Living, as Travel Channel tracks down Monster Encounters.